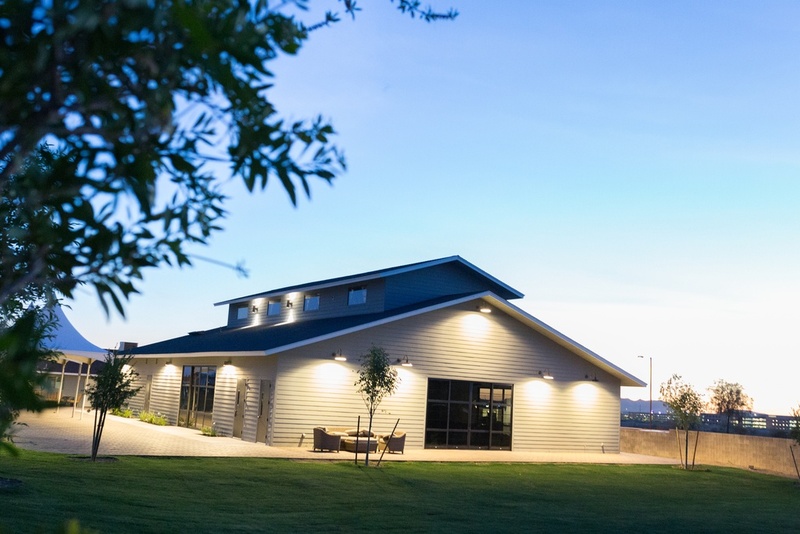 Hope Barn & Gardens is a wedding venue located in North Phoenix that not only provides newlyweds a beautiful wedding, but also the resources and support for a beautiful, lifelong marriage. 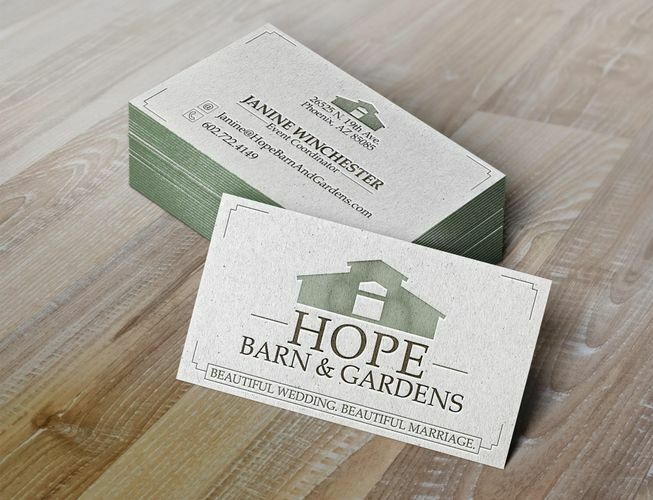 With natural lawns, blooming flowers and beautiful trees, Hope Barn & Gardens is a perfect choice for hosting a wedding! 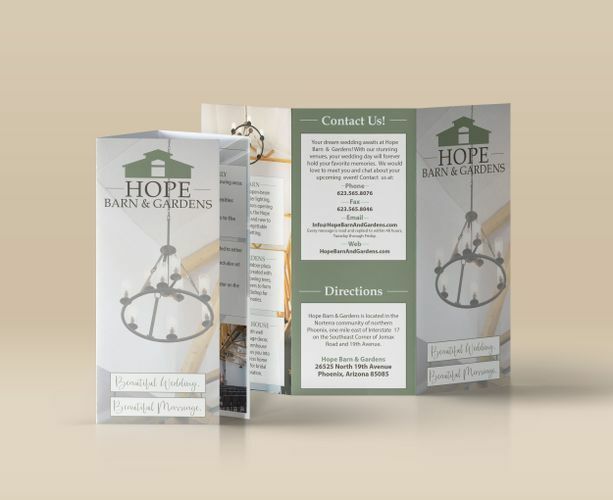 Hope Barn & Gardens had a wedding convention that was coming up quickly and they needed to create and print business cards, a brochure, a flyer and a logo in time for the convention. 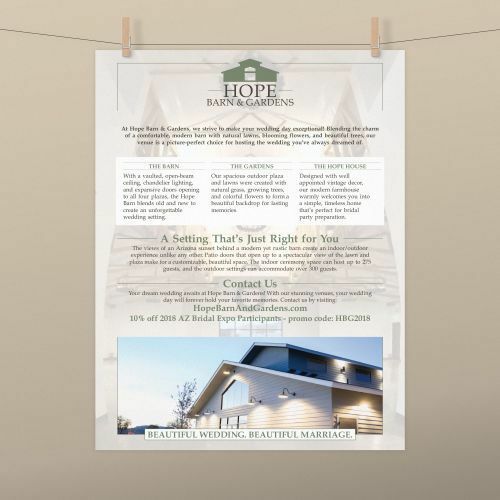 PEG Creations provided a plan to create and print a cohesive set of marketing pieces just in time to showcase at the Phoenix Bridal Show!